In today's rapidly changing and information-rich world, students are not acquiring adequate knowledge and skills to prepare them for careers in mathematics, science, and technology with the traditional approach to assessment and instruction. New competencies (e.g., information communication and technology skills) are needed to deal successfully with the deluge of data. In order to accomplish this, new "educationally valuable" skills must be acknowledged and assessed. Toward this end, the skills we value and support for a society producing knowledge workers, not simply service workers, must be identified, together with methods for their measurement. 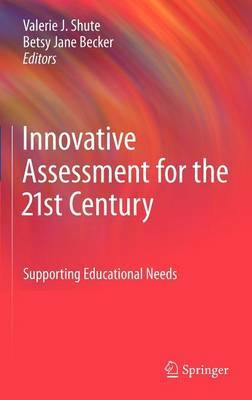 Innovative Assessment for the 21st Century explores the faces of future assessment-and ask hard questions, such as: What would an assessment that captures all of the above attributes look like? Should it be standardized? What is the role of the professional teacher?